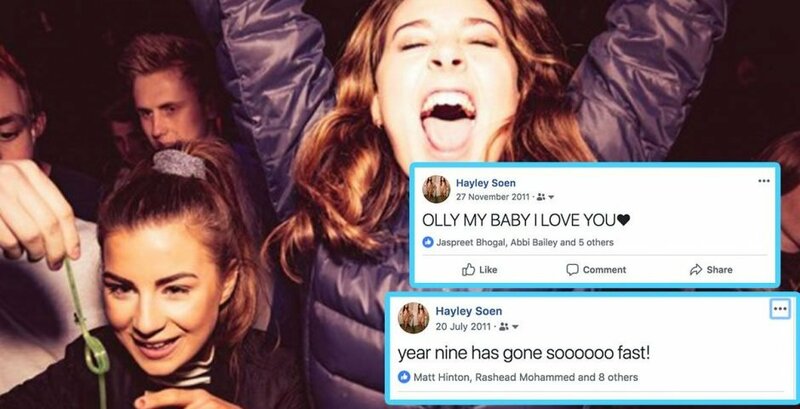 Remember back in year nine when posting on Facebook was really cool, and you and your mates would all rate each other out of ten, signing it off with a "luff yew LOLZ!" The world was generally just a better place. 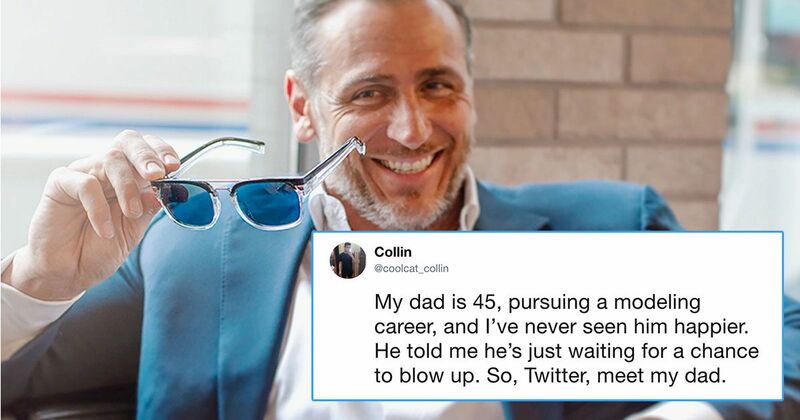 It was just one of the cringe things us early teenagers did. But now you look back at these times and think – what on earth was going on? 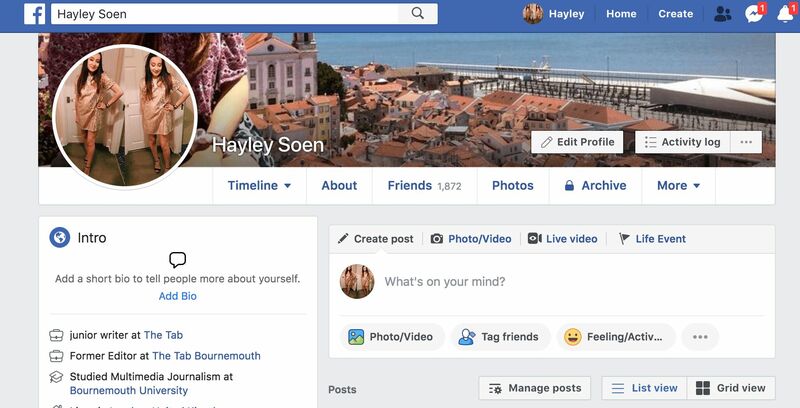 HOW can I delete old Facebook posts – and quick?! 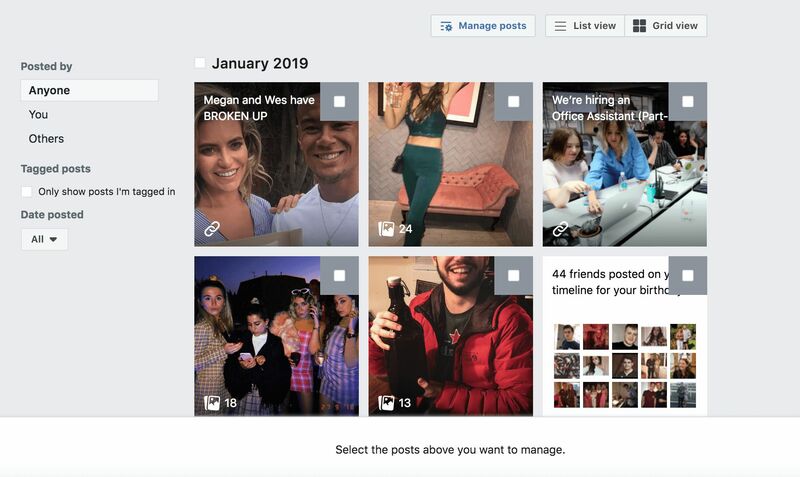 If you literally can't deal with the embarrassment that year nine you brings anymore, there's a new and quick way that you can delete your old Facebook posts and statuses in minutes – you can thank me later. 2. Click "Manage posts" under the status box. 3. 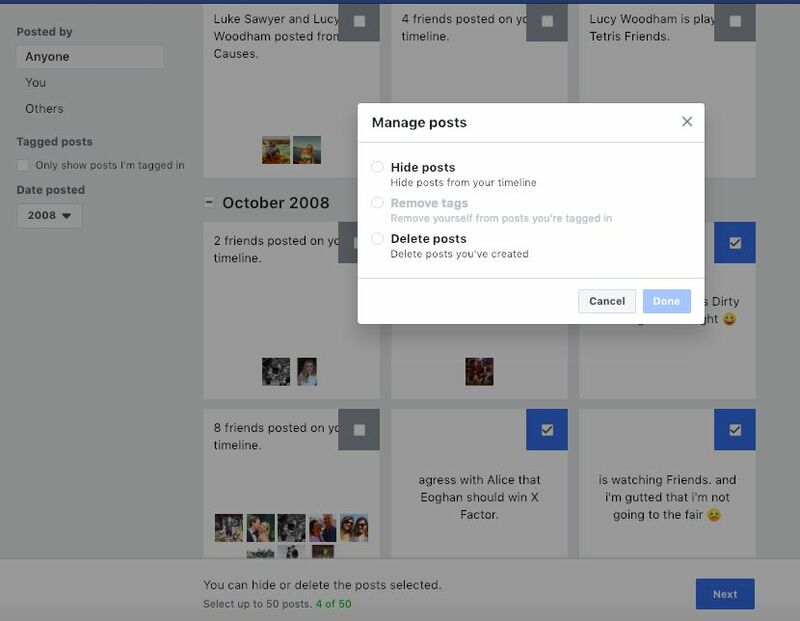 On there you can filter the posts by date, and go back to the start of your timeline on Facebook. 4. 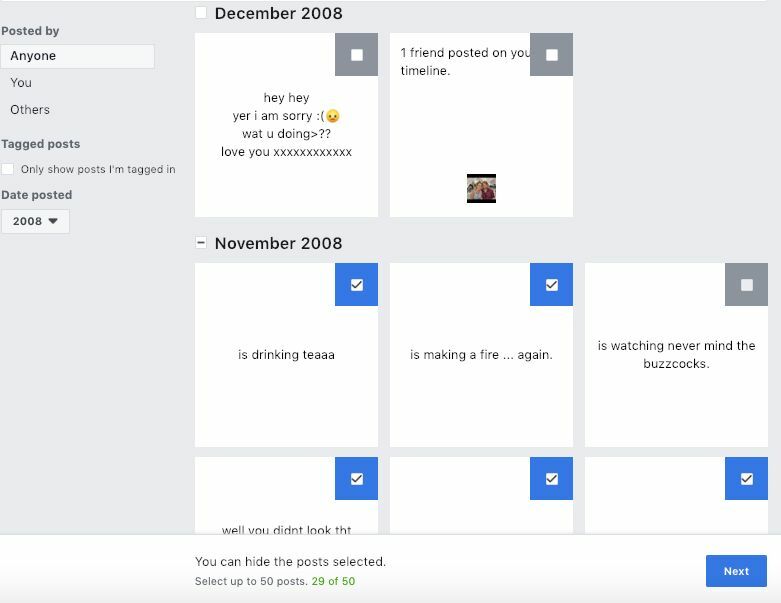 Select the year, and then you'll see all the posts from that time. 5. Click on which posts you want to remove. 6. Then Facebook will tell you that you can hide or delete the posts. 7. And then you literally just delete them, and they're gone!! Only small catch, you can only delete your own personal posts, not the embarrassingly cringe things your friends might have put on your timeline. You can only hide those. But who cares, they might still have the posts there, but you don't. And, you can only remove 50 posts at a time. So if you were a serial cringe-poster back in the day, you'll have to do a few different sessions of deleting before your timeline is clean.